Who doesnt love freshly baked bread? Our newest soap will help you endulge! We've baked up your favorite French bread for our newest soap - and it's Keto friendly! 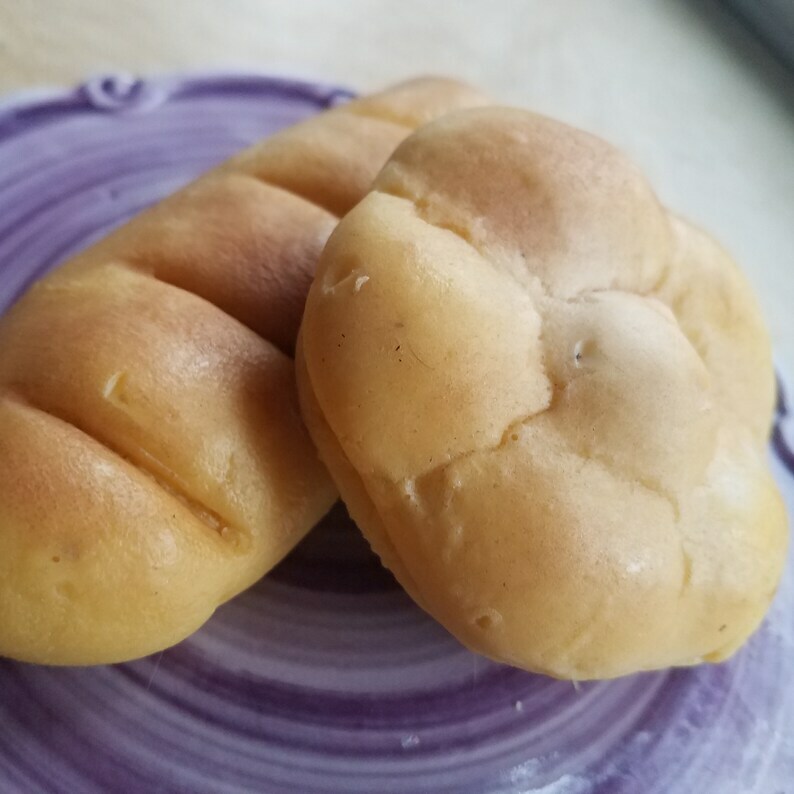 A set of 2 soaps - a round dinner roll and French Baguette, scented with our Baked Bread oil. The roll measures 3 inches in diameter; the Baguette just over 5 inches. A combined weight of almost 7 ounces. Great for props, party favors or for that special foodie in your life.